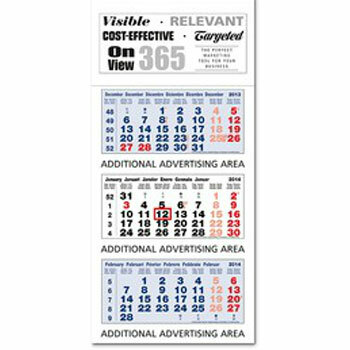 This shipping calendar gives you the ability to promote your company in four positions on the product. The three separate date calendar pads are mounted on to the backboard and the standard over print colours are black, reflex blue and warm red. Please contact us for printing options and design advice.